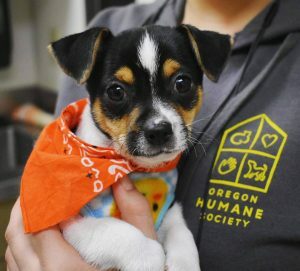 The Oregon Humane Society is joining other companies in raising the starting wage for entry level positions to $15 per hour. This change was made after a thorough analysis, collaboration with the OHS Board and represents a commitment to providing a living wage for all employees. The new hourly wage took effect at the end of July and impacts many early career positions at OHS including Animal Care, Customer Care, Admissions, Veterinary Assistant and Custodial positions.